Peace Corps suffers the loss of a vibrant Volunteer So-Youn Kim. This week, Peace Corps announced the death of a young Peace Corps Volunteer serving in Morocco. The 23-year-old So-Youn Kim — a 2007 Stanford grad — passed away Monday, November 16th, after an illness. The announcement from Peace Corps doesn’t specify the illness, and says the exact cause of death is unknown. She was about half-way through her term of service as a youth development worker in Tamegroute, a small village within the Zagora province of Morocco. This Saturday, the Peace Corps community in Morocco will hold a memorial service for the young Volunteer. Monday night, I received shocking news that So-Youn Kim, a YD volunteer who arrived with my staaj (training group), passed away unexpectedly. I only briefly knew her. She had a fiery spirit, that was both polarizing and admirable. This past month, she organized two well-received pottery workshops. My heart ached not being able to attend. My heart aches for her passing, her community (both in Morocco, Peace Corps and the States) and her family. I just received very disturbing news from Peace Corps in Rabat. So-Youn Kim, the YD PCV who put together the Tamegroute pottery workshop last month and hosted 11 of us to live in her house for 5 days, just passed away in a Marrakech hospital. So-Youn put the workshop together in an attempt to help her host brother develop a business of conducting these workshops for tourists, Moroccan artisans and visitors. This was not her assignment as a Youth Development Volunteer, but something she took on to help her community. She was bright, driven, kind and generous. Read the Peace Corps community’s condolences on the National Peace Corps Association Facebook page. My sincerest sympathies go out to So-Youn’s family and Peace Corps and other friends. I just wish I could give you each a big hug. What a stunning, unexpected loss of such a young and talented person. I am so, so sorry. 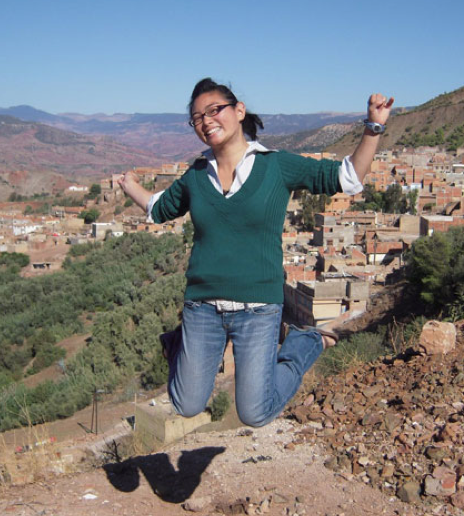 If you knew So-Youn and/or are part of the Peace Corps Morocco community, I invite you to share your thoughts about her here. This entry was posted in Resources and tagged Aaron Williams, Peace Corps Morocco, So-Youn Kim. Bookmark the permalink. This is truly tragic, how devastating to be serving and pass away so suddenly. She sounds like an amazing woman.